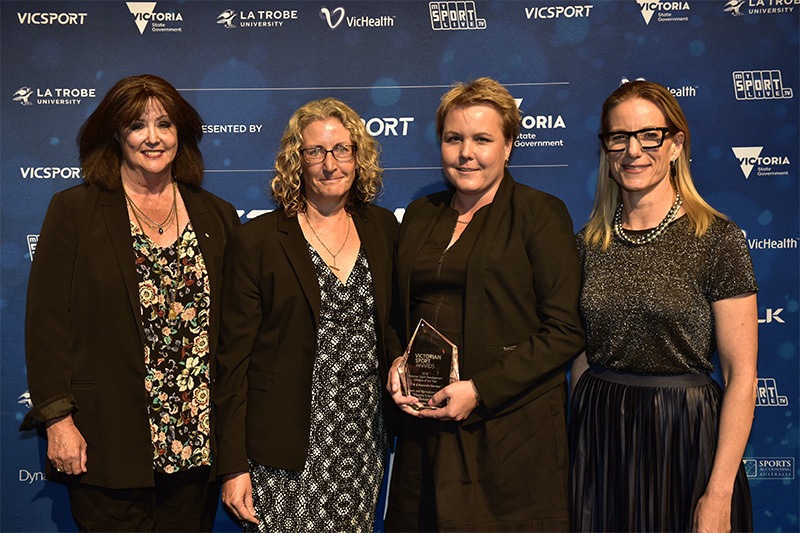 Sport and Recreation Spatial has been awarded the 2016 Victorian Sport Award for the Victorian Sport Development Initiative of the Year. The awards were announced at a gala ceremony in Melbourne on 31 March which was attended by Associate Professor Rochelle Eime from Victoria University and FedUni, and the Centre for eResearch and Digital Innovation’s Associate Professor Helen Thompson. Sport and Recreation Spatial offers an extensive collection of national and state-wide data about sports participation, sport and recreation facilities, population demographics and population health from multiple data custodians. It includes over 3.5 million sport participant records from 11 leading sports. A core innovation of Sport and Recreation Spatial is its use of web-based GIS technologies to present spatial data relevant to all levels of the sport and recreation industry. The Victorian Sports Award recognises the extensive research being conducted by the Sport and Recreation Spatial research team. Led by Rochelle Eime, the team has conducted research into sport and recreation participation, facilities and health outcomes which is supporting evidence based planning and decisions in the sport and recreation sector. In commenting on this award, Associate Professor Eime referred to the contribution that Sport and Recreation Spatial has made to the industry: “The award recognises the significant achievements made by the Sport and Recreation Spatial research team, and our key project partners, in conducting research that is in addressing industry-relevant questions, of national and international significance”.